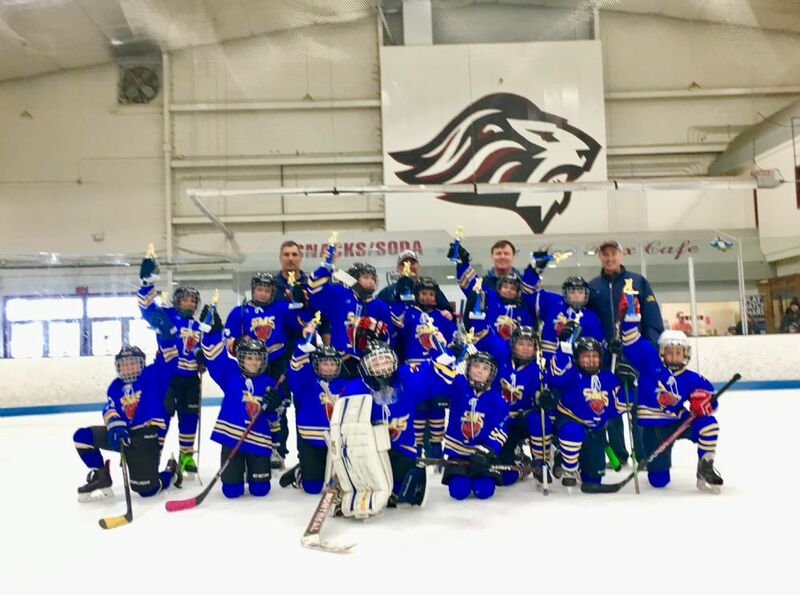 Mite A came from behind to beat Shrewsbury 6-4 to take the Northstar Mite Central Division title. 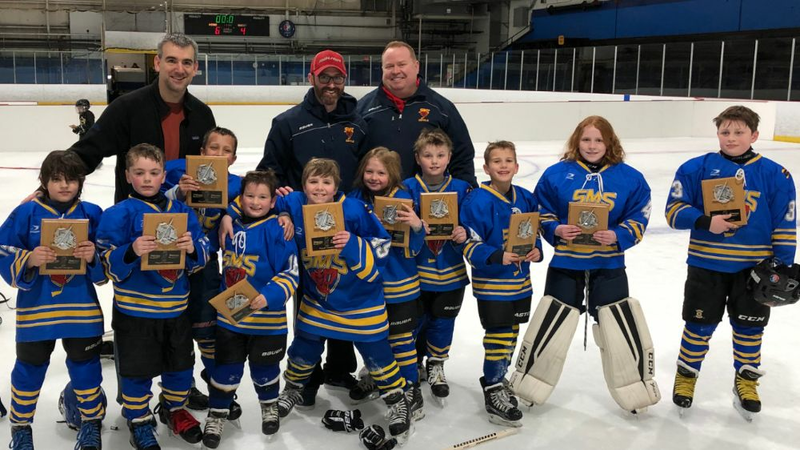 The Squirt B team won the VHL Divisional Championship against Micro Ice in a thrilling 4-3 game, and then topped it off by winning their Conference Championship against Wakefield. Congrats to the kids! 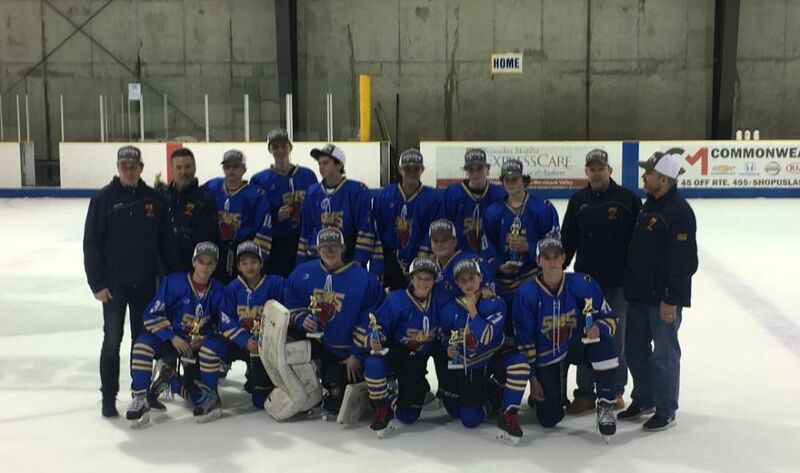 For the second year in a row, the SMS Bantam A team ended the season as VHL Champions. The team won a 2-1 OT thriller against Somerville. 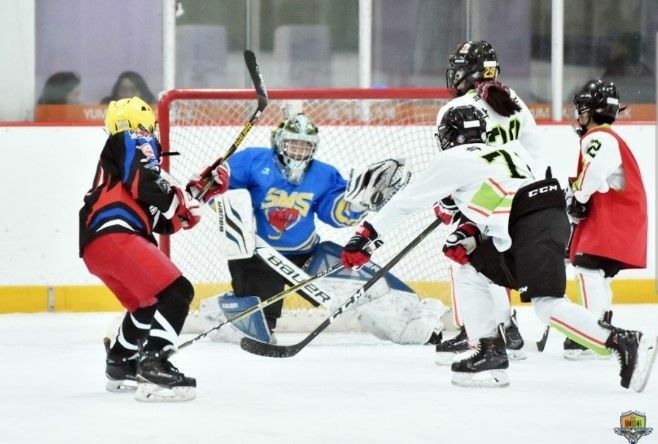 SMS alum Ethan Choi proudly wears the colors in his native country of South Korea. 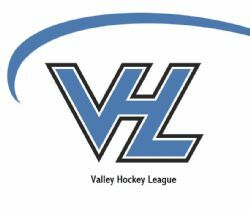 Ethan played for the 2018-2019 PeeWee A team.